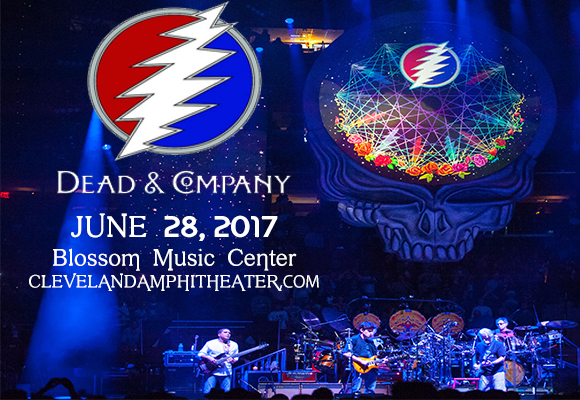 Grateful Dead fans are in for a treat, as psychedelic supergroup Dead And Company groove their way to Blossom Music Center on Wednesday 28th June 2017! This mighty mixture of Grateful Dead members, award-winning musicians and the incredibly talented John Mayer is keeping the spirit of the Dead alive in a fresh, energetic way that will have you dancing all night! Make sure you grab your tickets soon! In 2015, three of the "core four" members of the Grateful Dead, Bob Weir, Mickey Hart and Bill Kreutzmann, teamed up with multi-platinum selling Grammy Award-winner John Mayer, Grammy Award-winning virtuoso Oteil Burbridge, and RatDog band member Jeff Chimenti to create Dead and Company. Mayer invited Weir to join him in a studio performance in 2011 when guest hosting The Late Late Show, having become an avid fan of the Grateful Dead a few years previously. The two became friends and decided to embark upon a project together, with Mayer learning the Grateful Dead back catalog while the surviving members of the band prepared for their hugely successful Fare Thee Well Tour. Initially only announcing one concert for October 31 2015 at Madison Square Garden in New York, response was so positive, they added a further 21 shows and developed it into a full tour.